Once NASCAR officials saw the car with this medical marijuana company logo, including a large graphic on the hood, inspectors told the team that this was not an authorized sponsor and demanded the crew remove the stickers and decals form the car hood. This left the car without a hood sponsor, which cost the team of significant amount of money. This is harder on the driver, Carl Long, who is just back in NASCAR after a being suspended since 2009 for a serious violation involving his car in what was then called the Sprint Cup All Start Race. 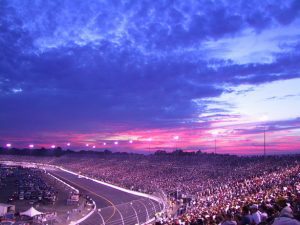 In another incident involving NASCAR, the owners of the Pocono Speedway, the track where two NASCAR races are hosted, may be the site for growing for medical marijuana in Pennsylvania. The owners have proposed their plans to the zoning board to use the property for this purpose in the off season. The plan includes constructing three greenhouses that are going to be 3,000 square feet in size each, and the owners will hire no less than 40 employees to work at the marijuana cultivation business. The workers will be paid at least $15 per hour, so this is a major selling point for the county. However, the owners say they will put a razor wire fence up for security purposes. Neighboring landowners are not so happy about this plan. They are concerned there will be noise pollution, light pollution at night, and that property values will be negatively affected. They argue that nobody will want to buy property and live next to a giant razor wire fence. As our Orange County cannabis attorneys can explain, there is often a lot of push back from some community members about the placement of a dispensary, distribution center, or grow operation in their neighborhood. There are a lot of reasons for this. Some are still against the recreational use of marijuana or even the use of medical marijuana. Others are concerned about property values, and while there may be some truth to that, this does not mean that you will be prohibited from placing your business in a particular area. The best thing you can do is to speak with an attorney that has experienced dealing with the local municipality as well as neighborhood groups to make sure you have the best chance of having a profitable business with as a little community push back as possible. The track medical marijuana grow operation will also house a processing center. While many people are used to smoking the buds or flower material of the plant, the leaves and stems do contain THC. While this is not generally worth smoking, this material known as trim can be refined into highly potent concentrates if enough trim is used.